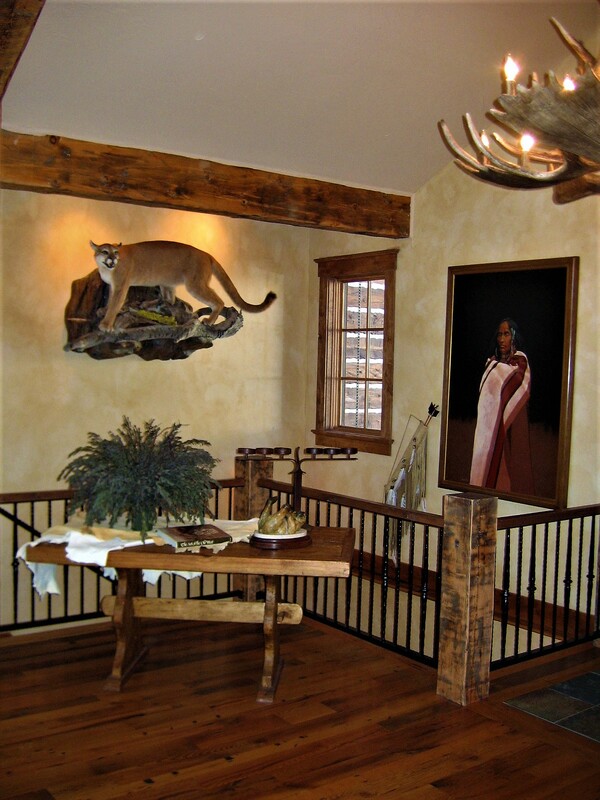 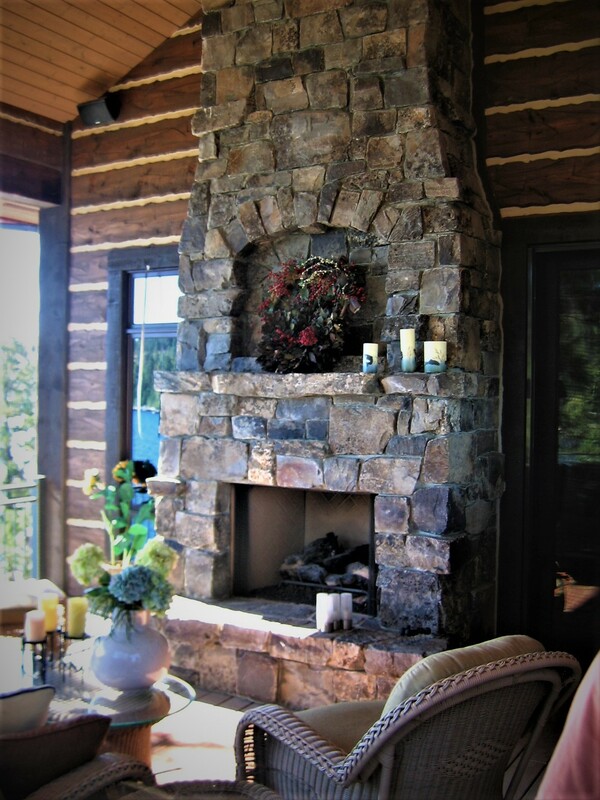 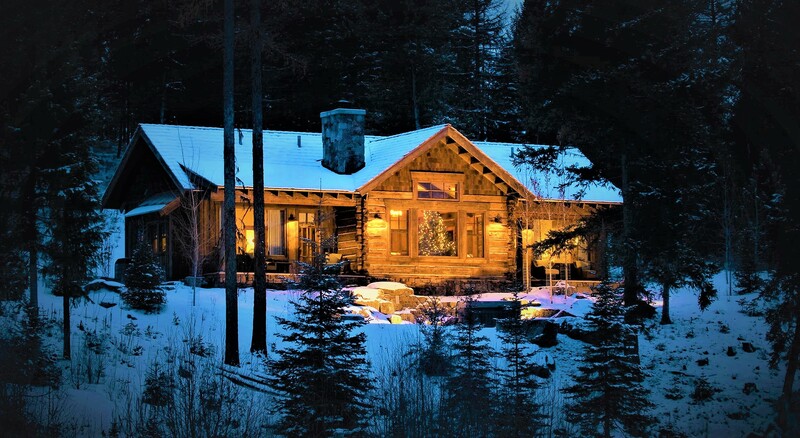 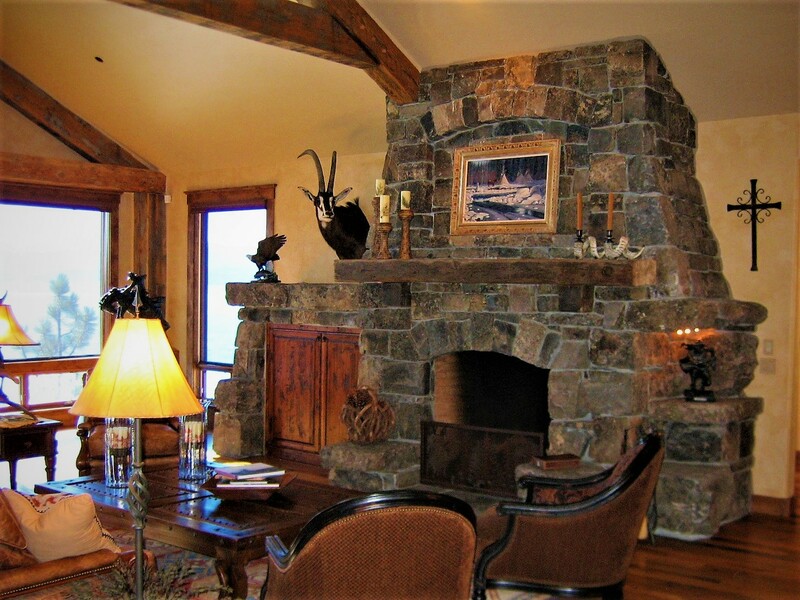 This Montana Lodge style home is perfect for summer living and designed for casual entertaining. 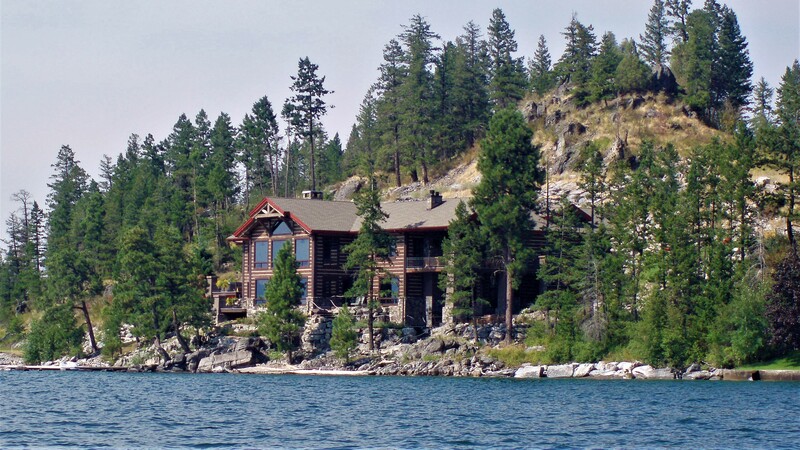 Located right on the rocky shore of Flathead Lake, the rock base grows right out of the natural boulders. 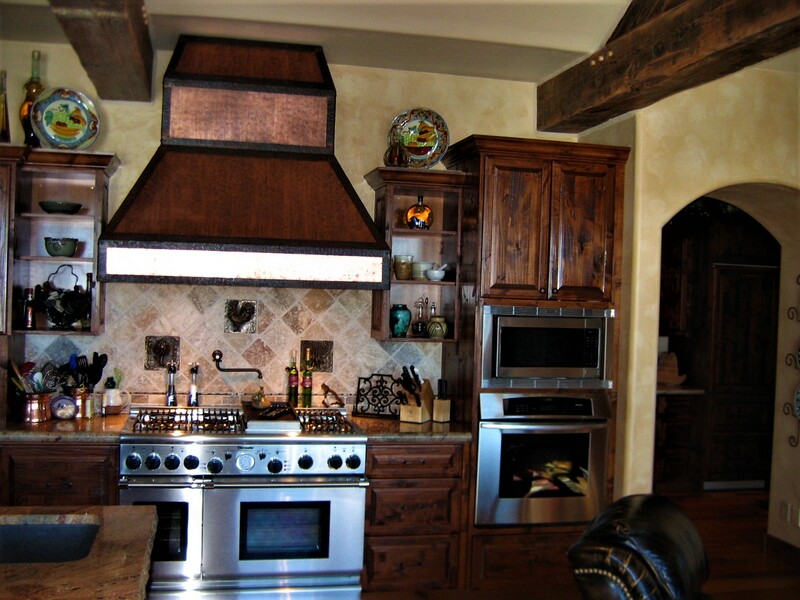 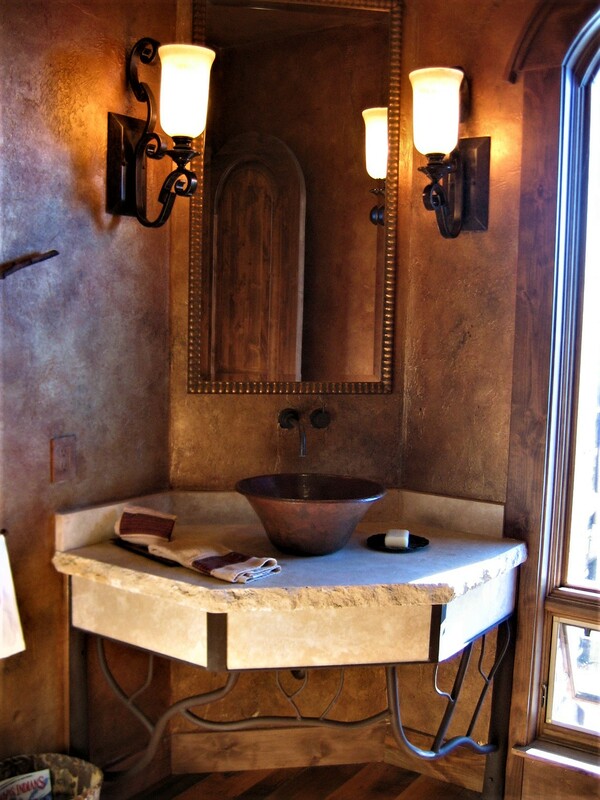 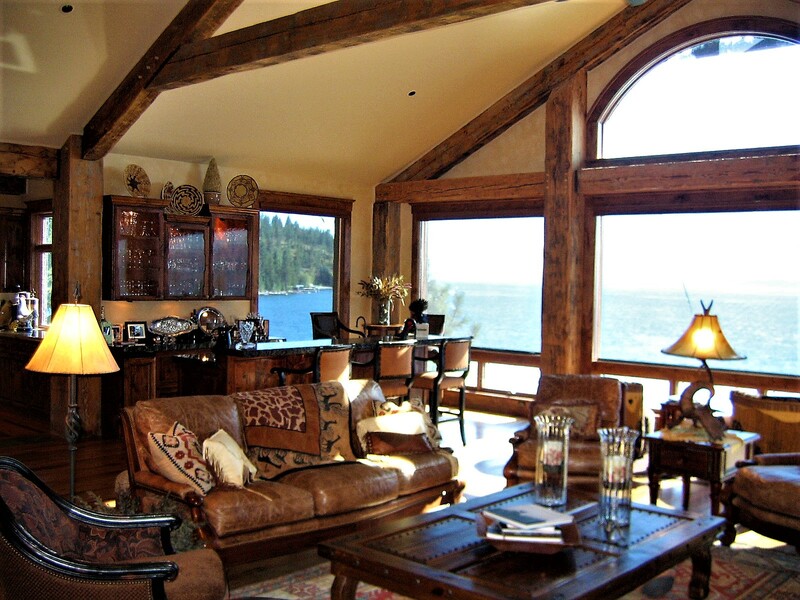 Reclaimed wood timber truss and massive stone work add to the elegant nature of this home.